The practice of yoga is usually followed by a change in eating habits. When your body and inner-self start feeling good, you tend to pay closer attention to what you put into your body. Besides being responsible for building our physical body, the foods we eat profoundly affect our mind.There are so many popular nutritional systems but there is no easy diet to fit everyone needs. There are also some myths asserting what foods are “good” or “bad” for a yoga practice. A “good” diet may appear very different from one person to the next, but you will know your diet is working well for you when what you eat feels good to your body both as you eat them and long after the meal is over, when you feel healthy, sleep well, have strong digestion, energy and clarity and feel your system is supported rather than depleted your yoga practice.Nutritional requirements fall under five categories: protein, carbohydrates, minerals, fats and vitamins. One should have a certain knowledge of dietetics in order to balance the diet. There’s no written rule in yoga that says you have to be vegetarian, but yoga does try to elevate our consciousness to a stage where we feel love and compassion for all living beings—including animals. Eating them isn’t exactly compassionate. Our bodies don’t really need meat for its functioning. Eating meat puts our body into overdrive to digest it making us feel heavy and meat eating people are more prone to an aggressive behavior. Another reason is that Yoga practices aim at cleansing the system to gradually bring the body to a peak of efficiency and sensitivity, meat carries the very same toxins yoga aims as flushing out. Hence, reducing or eliminating meat from your diet not only has immense health considerations but also secures oneness with all living creations of the earth and ultimately the creator. Many of us worry about getting enough protein if we switch to vegetarian food, also that everything will be tasteless. This couldn’t be further from the truth. Vegetarians get lots of protein in legumes, grains and so on. The quality of the protein is more important than the quantity alone. Dairy products, legumes, nuts and seeds provide the vegetarian with an adequate supply of protein. Yoga has been always connected with Ayurveda (the Science of Life). Central to Ayurveda is the concept of different body types, each of which thrives on different kinds of foods. Vata types, for example, need grounding foods like oils and grains. Pitta types are supported by cooling foods, such as salads and sweet fruits. Kapha types benefit from heating and invigorating foods. Just a few people are strictly one type, and most in fact are a combination of at least two types. Each individual must therefore find a personal balance of foods to fit his or her own unique constitution. Sattvic foods are considered to be the most pure form of food and are the center of yoga diet. Fruits, vegetables, grains etc. are considered to be sattvic foods as they are easily digested and provide proper nutrition to the body. pure, simple, natural foods which are easily digested and promote health. Processing, refining and overcooking destroy much food value. An alkaline diet also helps to calm the mind and create equilibrium between mind and body. It is a diet that emphasizes, to a varying degree, fresh fruit, vegetables, roots and tubers, nuts, and legumes. Almost all foods that we eat, after being digested, absorbed, and metabolized, release either an acid or an alkaline base (bicarbonate) into blood. Fish, meat, poultry, shellfish, cheese, milk, and salt all produce acid. 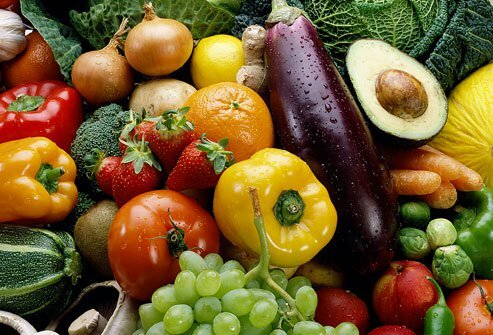 Consumption of fresh fruit and vegetables decreased. Alkaline diet helps the body weight control. As soon as the acidic environment is eliminated, there will be no need for new fat cells to form, and the remaining fat in your body is no longer needed to store acid wastes, and therefore simply melts away. Though overeating can sabotage your practice by making you groggy and too full to go deeply into the postures, fasting and underrating can have a more debilitating effect. For vata or pitta types, skipping a meal can cause not only low blood sugar and dizziness, but may lead to further health complications such as constipation, poor digestion, and insomnia. It’s a matter of being mindful and intelligent to discovering your personal path to balance and growth. Balance is the key, both in your overall personal diet, and in designing each meal. You must take into consideration a number of factors: the balance of ingredients in the dish, your available time to prepare the meal, the season of the year, and how you’re feeling today. The true Yogic diet is actually more selective. 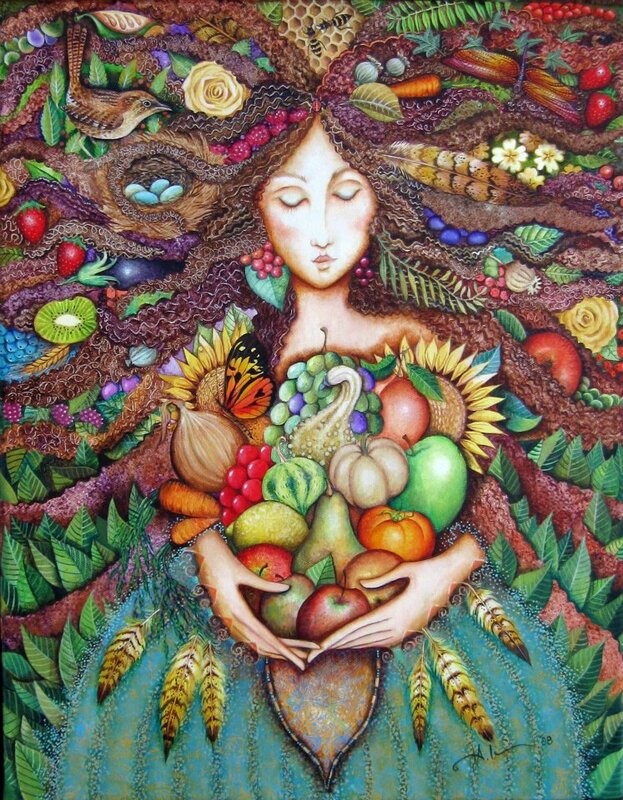 There is a subtle effect that food has on the mind and astral body. Therefore avoiding foods which are overly stimulating and preferring those which render the mind calm and the intellect sharp will help in our Yoga practice and our inner growth. One who seriously takes to the path of Yoga would avoid ingesting meats, coffee, tea (except herbal), alcohol and drugs.Any change in diet should be made gradually. As you continue to practice yoga, an intuitive sense of what is right for your own body will emerge, so you can adapt a food system to support your practice. Intuition and balance are the keys to finding supportive foods and you will gradually learn to recognize exactly what your body needs and when you need it The Yogic diet will help you attain a high standard of health, keen intellect and serenity of mind.Enjoy your meal!